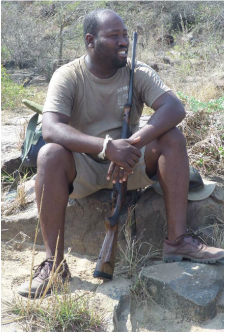 My name is Sicelo Mbatha, founder of ﻿﻿﻿Umkhiwa﻿ne Ecotours.﻿﻿_ ﻿For many years, I have been leading wilderness trails in Imfolozi Game Reserve. I have introduced hundreds of tourists to our wildlife, and I have seen how precious this experience is for them. But the people of my own community have not had this opportunity, even though they live close to the game reserve. 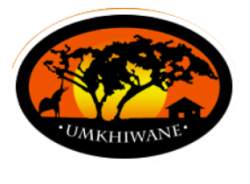 uBizo Lwemvelo (The Call of the Wild) is a program to give young adults from the communities bordering Imfolozi Game Reserve a wilderness experience that will transform their lives, and help to foster a deep commitment to conserving our wild life and wilderness areas. With your help, we can make this programme happen. The beneficiaries of this program are young adults with little or no income. We rely on funding to make it possible. If you would like to contribute money, goods or services, please contact us or donate to our account. You can also support our crowdfunding campaign at THUNDAFUND and get some great rewards.